Tingling or a crawling feeling in the legs. Swelling or soreness in the tongue. A serum iron and other iron tests may be ordered when iron overload (hemochromatosis) is suspected. Serum iron, total iron-binding capacity (TIBC), and/or transferrin tests are ordered mostly all together and after that transferrin saturations can be calculated which provide information regarding the how much iron is being carried in the blood. 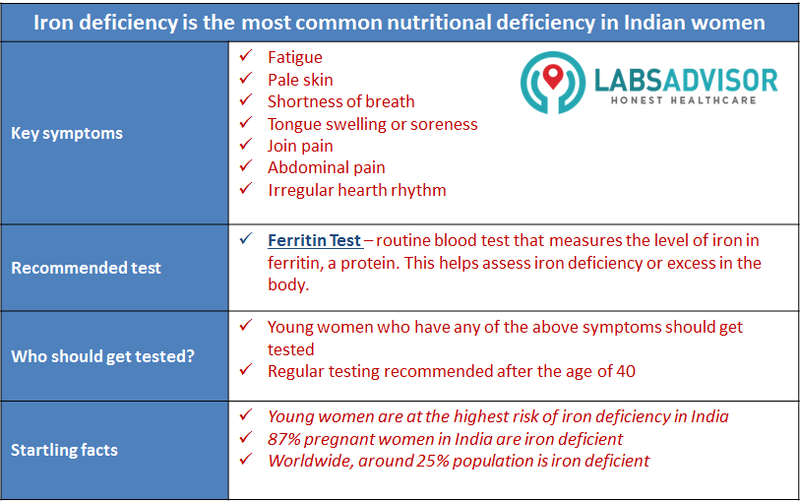 Ferritin confers the total iron stores in the patient .